Inspired by Timeerkat and Spr175psu, I decided to offer another pin game. 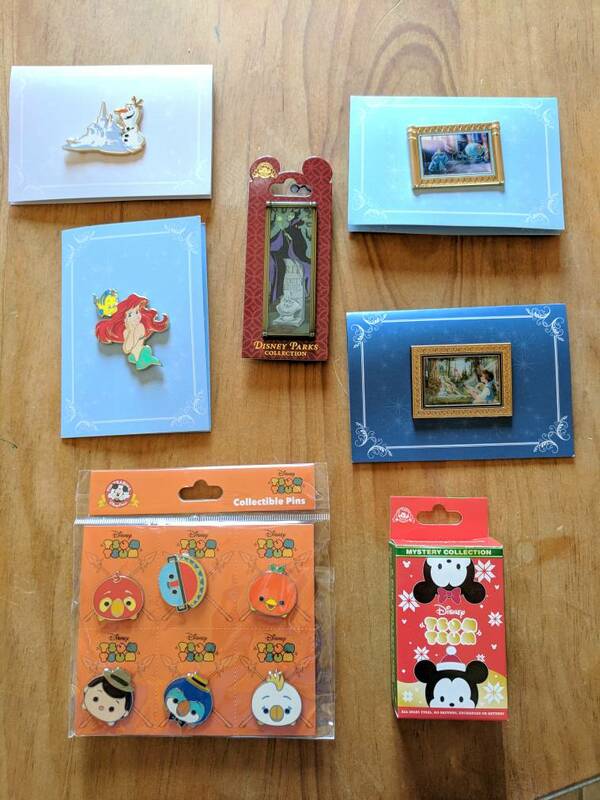 My quantity of traders has become more than my personal 'pin rules' allow. Thus my cup runneth over and I have decided host this game to share with the DPF community. When spots are full and payments complete, a moderator will randomize spot numbers to identify the random order in which prizes are selected by the owners of each spot. Each spot will cost $26 (includes paypal fees as goods). Shipping will be $4 and include the pins in up to four spots for US addresses. 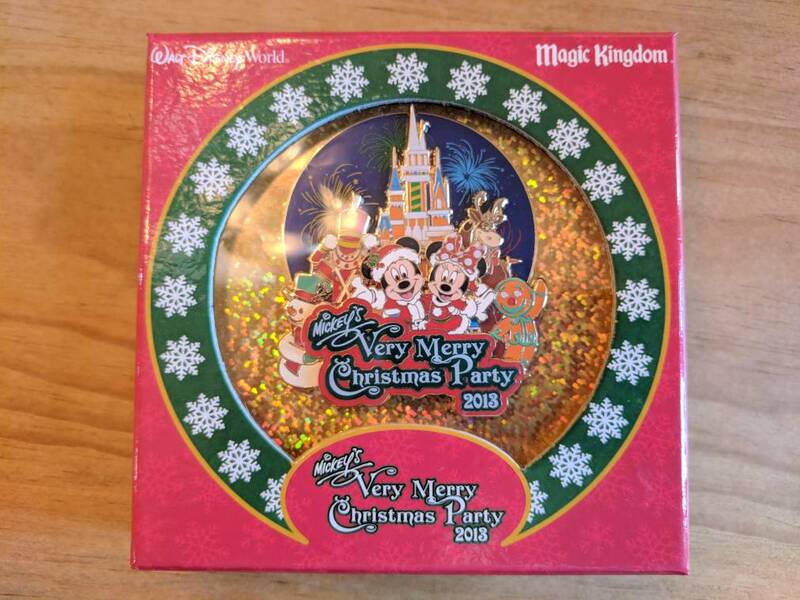 Shipping will be $14 for up to three spots for international addresses. 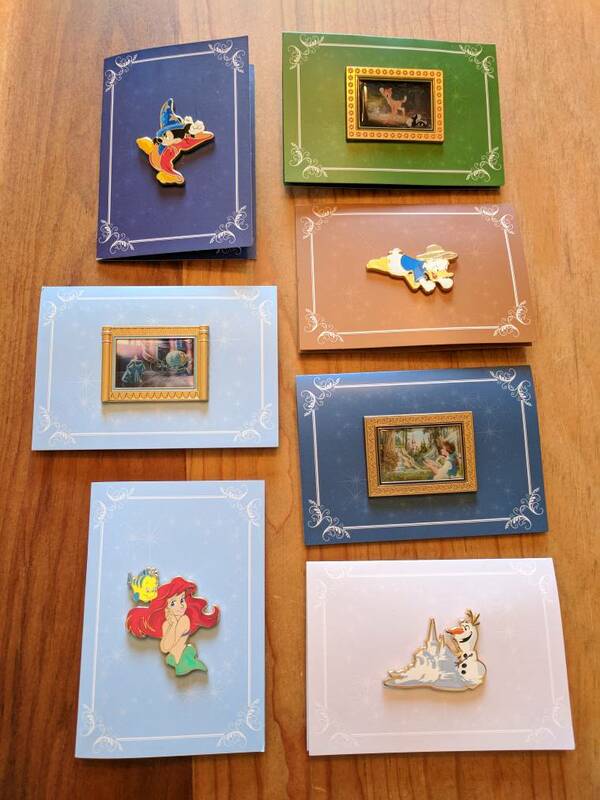 Participants will have 48 hours to choose their pins. If you will be away from the forum for this amount of time, please send me a list of your selections, in choice order. If participants do not choose within 48 hours (or provide a list) your spot will be skipped and other members will make their selections. Any skipped spots will be still be allowed to select from the remaining lots which are available. Available lots will be based on and time stamped by a post by the member who owns the skipped spot (post must include a pin lot selection to qualify). There are consolation prizes for spots 25 through 28. Payment will be collected after all spots are filled. After spots fill up, payments must be made within forty-eight (48) hours. If non-payment occurs after 48 hours, I will post in this thread when the spot becomes available. After my post a new DPF member may claim an open spot. This game is open to all members. AshleyV and Spr175psu like this. 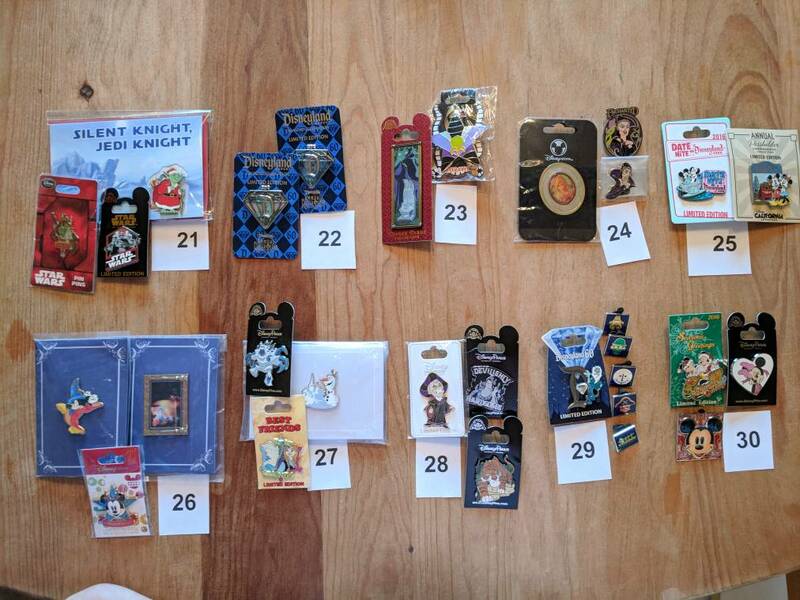 Note: All pins obtained directly from Disney/Box Lunch/Acme except for Ironman set, hidden mickeys (which I confirm to be genuine/non fake/non scrap), pin 73815 (Festival of the Masters Mickey Mouse), pin 66573 (Beast) and Enchanted pins which were obtained through trade. ***Legend: Lot's highlighted in Blue have been selected. 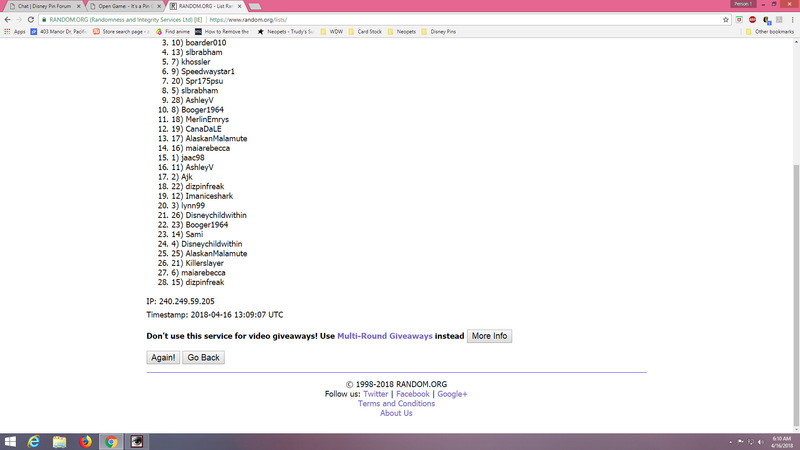 Consolation Prizes for post randomized spots 28, 27, 26, and 25. In addition to selecting one lot from remaining pin lots at time of their turn. 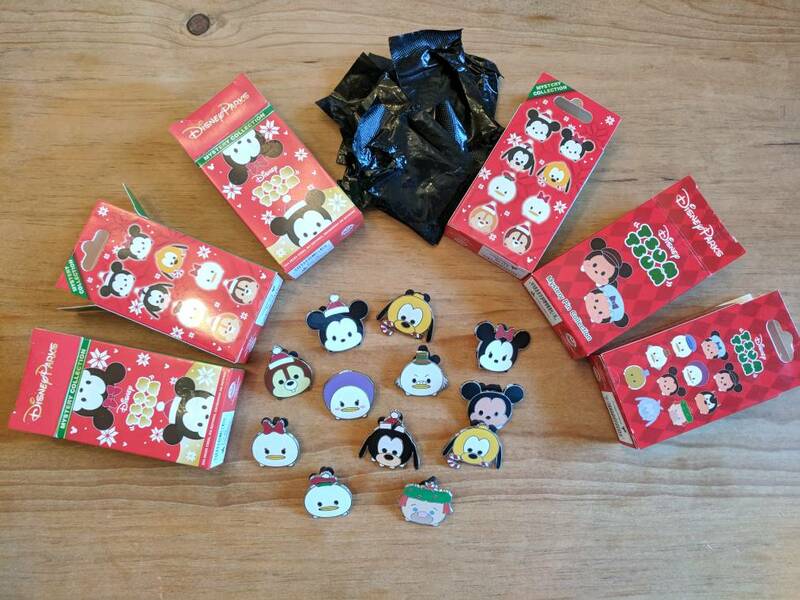 Each spot will choose three (3) of the tsum tsum pins below starting with 28 and picking in order (within 48 hours) down to spot 25. Text in green indicates payment complete. As list turns orange that is where we are at in lot selection. It's a Pin Game Bonus! : Randomizing a pin for those already signed up for 'It's a Pin Game' game spots. 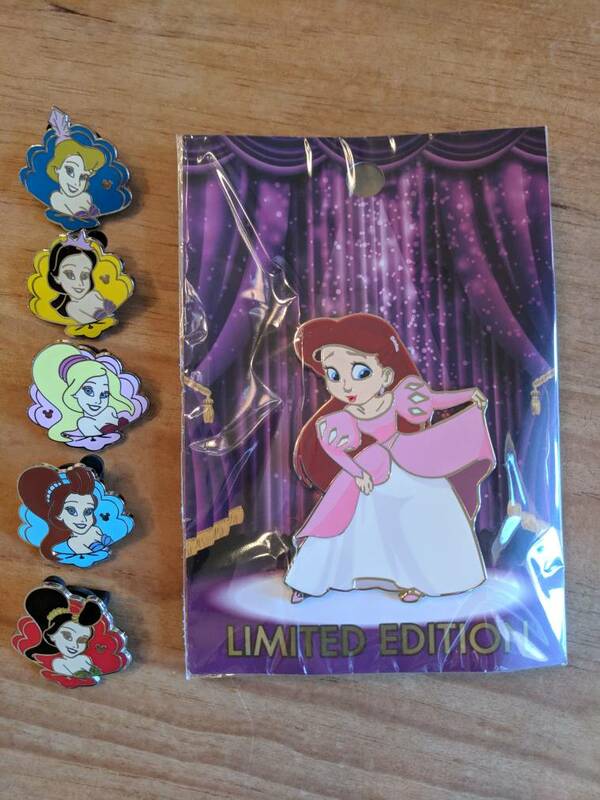 2) One pin or pin set will be randomized on date indicated in a post in the 'It's a Pin Game' thread by user: TheMickeyMouseRules. 3) The pin or pin set to be randomized will be selected by current players (ie, those already signed up for a spot in the game) from A through G listed in #1 above. Players selecting more than one spot in the game are allowed one vote per spot. Multi-spot players may vote for the same pin or different pin in their respective spots. 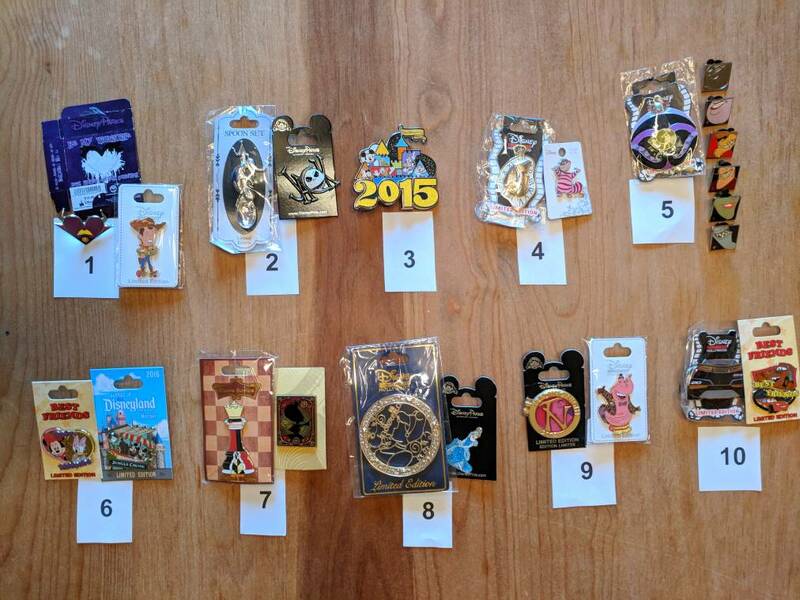 4) To vote: Once TheMickeyMouseRules posts the date for the randomizer to run, please post your spot number and your pin selection (A, B, C, D, E, F, or G). 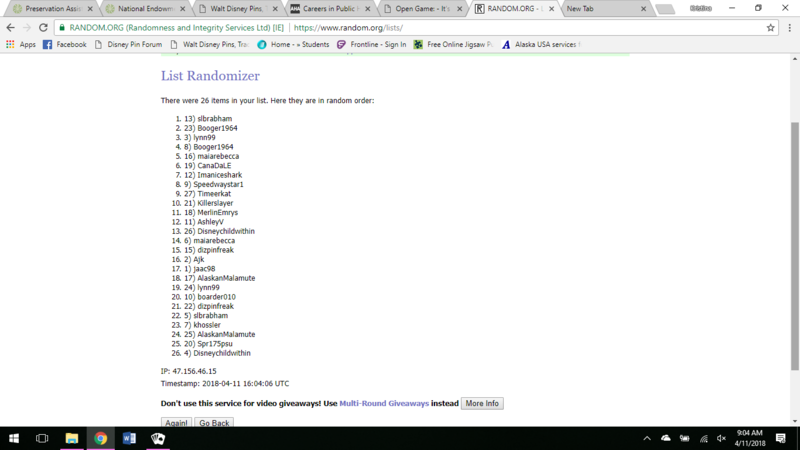 Players may only start voting after TheMickeyMouseRules posts voting is open. 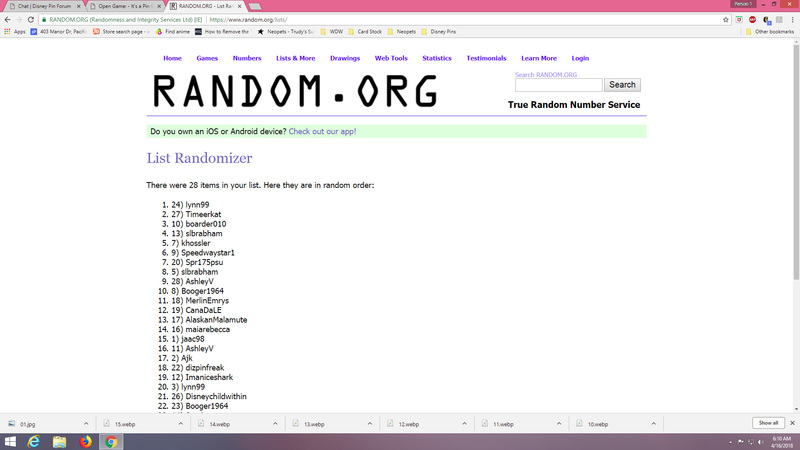 5) The pin with the most votes by 11:59 PM the day prior to the randomizer being run (counting the votes from active/current players only, defined in #7) will be randomized to the players of record only. 6) Once a pin from the listed/pictured seven (7) is selected and randomized it may not be selected again, in the event additional pins are randomized under these rules. 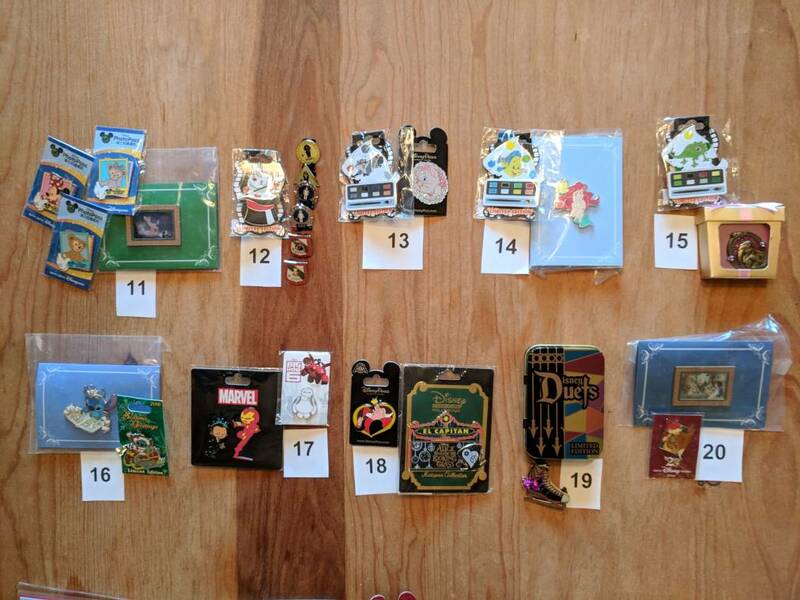 7) Players who qualify for this opportunity include 'It's a Pin Game' players of record (ie, have posted in the "It's a Pin Game" thread, selected a spot and spot is officially assigned by user: TheMickeyMouseRules) by 11:59 PM the day prior to the randomizer being run by a moderator. 8) Not all players must vote in order for randomized pin selection to be final. 9) In the event of tie (ie, more than one pin receives most as well as same number of votes), user: TheMickeyMouseRules will cast a tie breaking vote. 10) The moderator will randomize all players of record (as noted in rule 7) and the spot number randomized to the number one (1) will receive the pin selected by voting process. 1) pin(s) will be mailed with other pins awarded in the game. 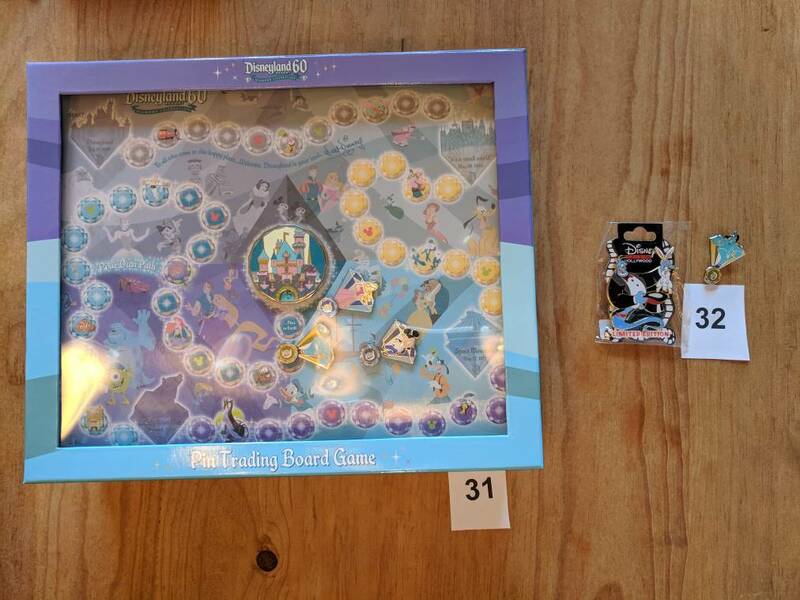 Ok.. the winner for the Acme Ariel Ohana pin is space 13.
sounds fun! I'm in for 1 spot. I will take this spot to run the randomizer results. @starry_solo here with the results. Can I have spots #5 and #13? Thank you for the early support for the game! May I have spots 8 and 23 please? Thank you! I'll take 26 and 4. This time I'm going to be completely patient and handle my desperation with maturity. And that takes us over 1/3 filled in one day! Nice! Thank you! Only a couple of spots short of halfway filled. Nice quick progress in just over a day! Thank you to all who have signed up for the game so far! And we are updated to here. As a reminder, please see the game rules. Games Rules Effective January 1, 2018 - Games return! And... we are now updated to here.